Get into a tropical state of mind in the Island of the Gods. From basking in all that nature has to offer to indulging in local cuisine, Bali is the perfect destination to discover traditions, form authentic connections and experience warm hospitality. With a private location and stylish interiors, Park Hotel Nusa Dua is the perfect hilltop retreat in the Island of Gods. Breathe deep and inhale the unrivalled panoramic view breath-taking views of Benoa Bay from the privacy of the lush villa. Just 15 minutes away from Bali’s Ngurah Rai International Airport, enjoy convenient access to shopping, dining and entertainment activities. For water sports aficionados, Tanjong Benoa is a mere 10minutes drive from the resort and offers a wide choice of water sports including scuba diving, parasailing, surfing and banana boat rides. 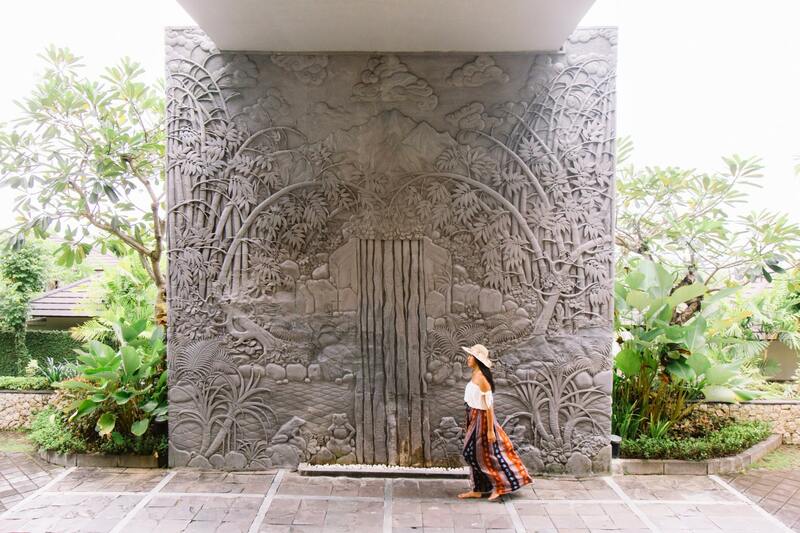 Bali Collection is an exclusive lifestyle and entertainment complex located within the Nusa Dua enclave, where there is comprehensive selection of restaurants, cafes and branded retail outlets in a charming outdoor setting. Within the resort, Moonsun Restaurant & Bar offers urban Asian cuisine made with market-fresh ingredients and seasonal produce. Enjoy local favourites and international dishes while admiring unforgettable views of the sunset and sunrise. Eat like a local in a warung, a small family-run restaurant offering delectable and authentic local cuisine. Tuck into the famous traditional suckling pig dish Babi Guling or Betutu, a smoked duck dish stuffed with spices and rumoured to be the favourite dish of Balinese royals. Beyond local warungs and upscale restaurants, there is a surprisingly vibrant café culture where you can find some of the best cafés. From organic cafés surrounded by rice paddy fields to cosy French bakeries, start the day right with hearty and wholesome breakfast options like smoothie bowls and freshly baked croissants. Bali is also home to the most expensive speciality coffee in the world – Kopi Luwak, or commonly known as civet coffee. Its high price tag comes from the meticulous method of production and fermentation process centred around the droppings of the Asian palm civet cat. The nocturnal weasel-like animal eats only ripest coffee berries, which are then digested and excreted as the finest coffee beans with an earthy, smooth and sweet finish. Support ethical suppliers of Kopi Luwak with wild civet coffee plantations, such as Canggu’s Satu Satu or Ubud’s Munduk coffee company. For those looking for true Balinese traditions, head to the cultural capital of Ubud to get lost in the array of cultural shows and art galleries or spend time exploring the quiet local villages where hands-on cooking classes impart the secrets of Balinese kitchens. Don ‘t leave Bali without a visit to its historic worship sites. Perched on top of a limestone cliff, Uluwatu Temple at Bali’s southernmost peninsular offers sweeping views of the Indian Ocean and close encounters with a cheeky clan of monkeys. Find yourself immersed in feelings of spirituality at the intricately carved Pura Tirta Empul temple – where both devotees and tourists go to purify themselves in a bubbling spring. Waking up in the early morning will be worth the while to witness the magnificent sunrise at its peak at Mount Batur. Novice hikers won’t find it difficult to make the trek up to Mount Batur. Plan your visit from April to November, where visibility is at its best. From catching the perfect wave to sipping cocktails by the beach, Bali offers different ways to enjoy sun-soaked adventures. Surf addicts are pampered with options, whether it’s picking up mellow waves at beginner-friendly Canggu beach or joining expert surfing competitions at Padang-Padang beach. Take your pick of oceanfront beach clubs where beautiful sunsets and leisure afternoons await. People-watch at the infinity pool of Potato Head Beach Club or party the night away with international DJs at the ultra-chic OMNIA. Seminyak offers a good balance of buzz and quietude, this area is popular for its specialty boutique shops, nice restaurants and a luxurious choice of villa accommodation. Great for couples who love a sunset stroll on the shore, dinner on the beach with live music in the background and one of the best places for Bali nightlife. Making up one of 13,000 islands in the Indonesian Archipelago, Bali is one of the top holiday destinations in the world. Expect sunny and humid climate all year round with monsoon season occurring from October to April. Majory of the locals follow the Balinese Hinduism religion, where traditions and spiritual beliefs remain strong with over 20,000 temples and worship sites. Be it a honeymoon destination, family vacation or a spiritual getaway, escape from the ordinary with a trip to Bali. Skip the tourist attractions and shopping malls and check out some of Hong Kong Island’s up-and-coming neighbourhoods. The Island of the Gods offers great beaches, countless waves for surfing and wonderful natural sites to visit and explore, colorful ceremonies, and gifted artists. Based in Singapore and yearning for a quick but laid-back getaway, here’s a guide to three nearby destinations in the region, plus lazy itineraries to help you make the most of each trip with little effort.